Companies in the oil, gas and energy industries today face many challenges, regardless of size, location or product. The collapse of oil prices in 2014 triggered a wave of cost-cutting measures. To ensure its future viability as an industry, oil and gas producers are seeking to reduce their costs and increase the efficiency of their operations. According to an Accenture study conducted in 2018 on the oil and gas sector , 72% of industry professionals believe that digital technologies can be an attractive tool to address the cost reduction challenge. With this in mind, 50% of survey respondents said they plan to increase their investments in digital solutions. The results of this survey suggest hopeful opportunities in this sector where the culture of digital innovation is far less robust than advanced technological innovation. In terms of cost reduction, companies in the sector are looking for faster and more accessible ways to ensure the technical security and performance of projects and operations. In offshore exploration and production activities, for example, the distance from a specialized expert and the field can be huge. Whether it’s scheduled inspections or response to emergencies, field visits are expensive and time consuming. Fuel, vehicles wear and tear, wages and insurance have a significant weight in operating costs, reducing the margin. Digital solutions such as video-assistance can provide an answer to this problem. The video-assistance, allows remote experts to collaborate in real-time with field staff around the world, without leaving their office. 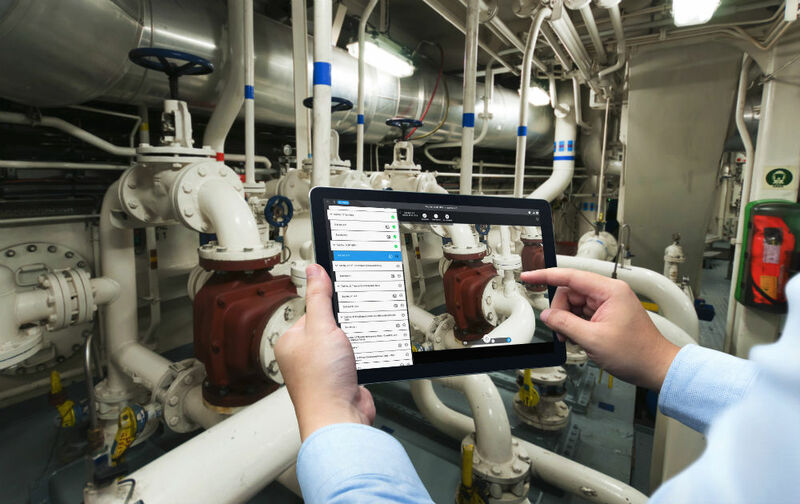 With the help of collaborative features, such as real-time audio and video, inspection checklists, remote photo shooting, etc., field technicians can benefit from the help of experts for inspect, diagnose and troubleshoot complex problems, achieve higher resolution rates and reduce machine downtime. Global Marine Consultants and Surveyors (GMCS) is an experienced company serving the offshore oil, gas and energy industries, as well as the marine industry in general. GMCS has a team of experts providing independent investigation, inspection and audit services. GMCS has adopted Apizee Diag, a video-assistance and remote inspection solution to perform offshore vessel inspections. With this solution, GMCS experts can provide their customers with effective, complete and secure remote inspections to minimize downtime in case of issues at sea. No need for specific equipment, the solution can be used from a smartphone or tablet. During the inspection, the expert can talk to the crew and see live the machine or equipment that needs to be inspected, then automatically generate a digital report with all the photos and information collected during the inspection. This solution is adaptable to any environment or use case since the inspection models are easily configurable. The solution also adapts to network conditions: in case of degraded conditions, the crew can follow an inspection checklist in autonomy in offline mode and synchronize it as soon as the signal is restored.